Yogyakarta is a top tourist destination in the country. However, it hopes to attract more of tourists' attention by having a cool event. Introducing Jogja International Street Performance (JISP). It's a two-day event organized by the Yogyakarta government's Tourism Office. Specifically, as space for performance artists to showcase their creativity. 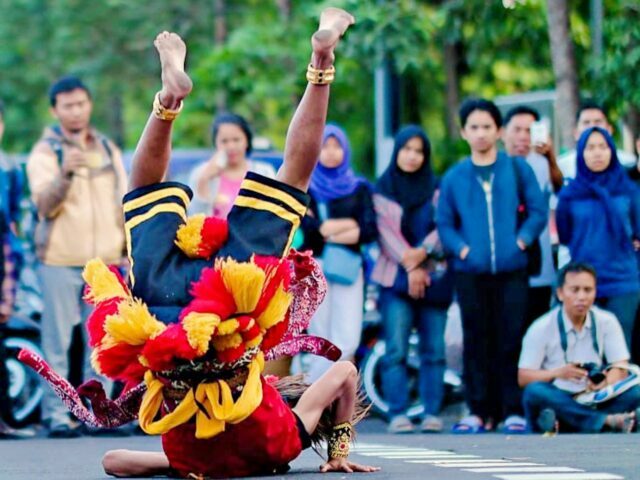 Jogja International Street Performance is a relatively new event. It was first held in 2010. And has since grown rapidly to international level. Last year's theme event was "Jogja The Dancing City". The festival collaborated with the Dancing Cities Network from Barcelona. Jogja International Street Performance has now officially become part of the network. Along with multiples other countries in Europe and America Latin. JISP provides rooms for both contemporary and traditional arts. The performers range from local Indonesian artists as well as performers from overseas. This international event aims to provide a unifying space for culture. Regardless of ethnicity, race, or religion. Both between regions in Indonesia or between countries. By this event, Jogja also wishes to strengthen its status as the City of Culture. Yogyakarta has a number of artists whose performance is worth expecting. As city hosting the event, they want to deliver their best. One of the most prominent dance studios in Yogyakarta is Natya Laksita. The studio is founded by Didi Nini Thowok, the dance maestro of Indonesia with an international name. When Natya Laksita comes into the stage, expect a refined and astounding choreography. After all, they are the disciples of the maestro. Yogya art insider must also familiar with Made Dyah Agustina. She has three dance studio in town. Two of them, Artha Dance and Tari Anak Tembi. They also made an appearance at Jogja International Street Performance last year. 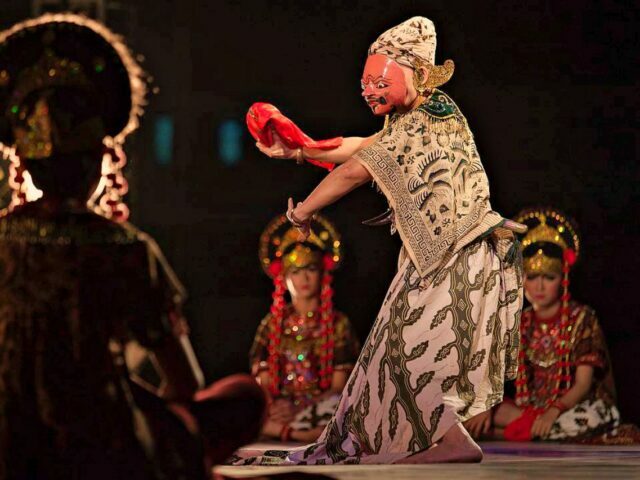 Artha dance specializes in a contemporary dance inspired by Javanese and Balinese tradition. Watch the Sariro dance, a choreography created by Made Dyah herself. It's a choreography starts with graceful and delicate movement. Watch until the end as the dance becomes darker. And sends a chill to the audience's bones. It's truly a masterpiece. In the other hand, performance from Tari Anak Tembi fills the heart with warmth. Comprising of young children dancer. The kids perform traditional Indonesian dance such as Turangga dance. It's hard to take eyes off them. These children are both talented and cute. Representatives from other regions in the country also fill Jogja International Street Performance lineup. Last year, they were Sanggar Seruni from West Bangka. Nani Topeng Losari from Cirebon, and Melanesian from Papua. 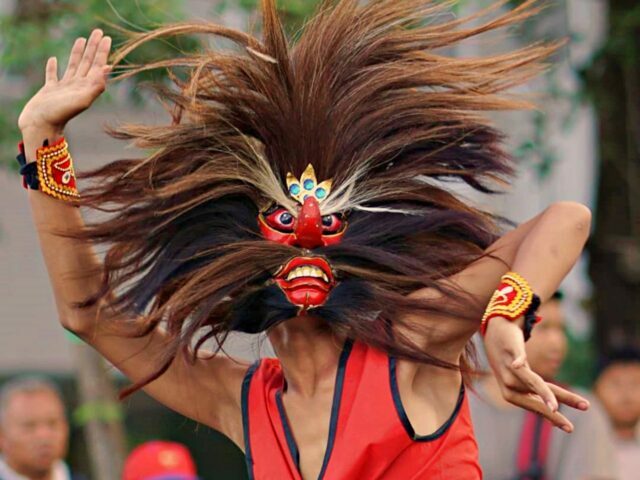 Indonesia has no short of talented performance artists. This year, prepare to get surprised with a lineup as epic as last year. Expect it to have a similar degree of diversity too. In 2018 Stefano Fardelli is the guest star of the event. Stefano Fardelli the Italian dancer and model. He is a second prize winner at 2014 Gdansk International Dance Contest in Poland. His work includes Svarupa-vyakta. In which he performed solo in many festivals. It's about self-interest. A projection of self and the observation of it. In Fardelli's word, observing from another dimension. Stefano Fardelli wasn't the only artists from abroad. Participate and liven up Jogja International Street Performance. Potchanan Pantham performed a solo repertoire titled "Anantha". It tells the cycle of human life. From birth to death in a series of captivating movements. Aside from Fardelli and Pantham. Other foreign artists coming to JISP were Neiro and Mutsumi from Japan. And Rodrigo Parejo from Spain. One of Jogja International Street Performance mission is to bridge differences with arts. And hopefully, to create a collaboration. Such collaboration. 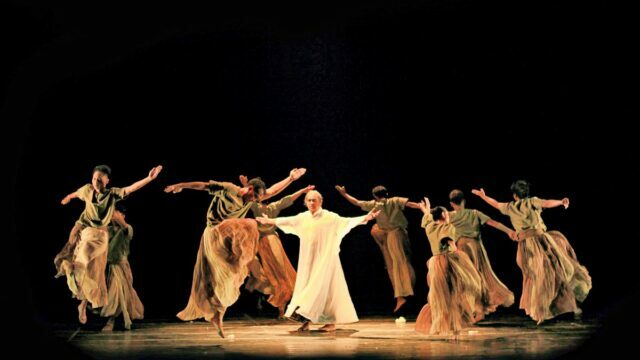 For example, is DINYOS Dance Company from Japan collaborated with Indonesian Bimo Dance Theater. Both studios have long worked together. They also often made an appearance in various festivals aside from JISP. Such as the Jogja Art Festival. The two dance studios started collaborating in "Jiwa" choreography in 2008. It was first performed to celebrate the 50 years friendship of Japan and Indonesia. Appreciate the work of Bimo Wiwohatmo and Takashi Watanabe as the choreographers. Their work mixes various dance elements. Into a repertoire full of emotional, sensuous, and interesting motions. See: Jogja Ultimate Market, Beringharjo, Souvenir, Handicraft to Culinary. JISP event takes place at UGM square. Precisely in front of Graha Sabha Pramana Building, Gajah Mada University, Jogjakarta. This year it is scheduled on 21-22 September 2019. No ticket is required to attend Jogja International Street Performance. Since this event is a free public event. The event will start at 16 PM until 22 PM. See: Check Out The Art Gallery in Jogja National Museum. For accommodation. Tourists won't find any difficulties to find one in Jogjakarta. Rates range from IDR 150k for a hostel. To IDR 650k/night for a 3-star hotel. For food and drink, expect a lot of food vendors around the venue. Basic facilities provided by the venue includes toilets and parking space. Tourists don't need to worry about comfortable and affordable transport to the JISP venue. There are several lines of TransJogja bus that pass Gajah Mada University. From Adi Sucipto Airport. Take a line 1B bus and stop at Bundaran UGM bus shelter. From Tugu Railway Station. Hop into a Line 2A bus. Take stops at Bundaran UGM bus shelter. Prepare IDR 3500 per trip for the bus fare. Tourists can also choose using online taxi services such as Grab and Go-Jek. It has lately become a favorite way to get around the city. At a faster pace. Rate starts at IDR 4500 per 1-km ride for bike taxi. And IDR 7000 for a car ride.